Sky Las Vegas is a 45-story luxury high-rise condominium project located on the North end of the Las Vegas Strip. The property developer is Nevada Development Partners and the project completed in May 2007. 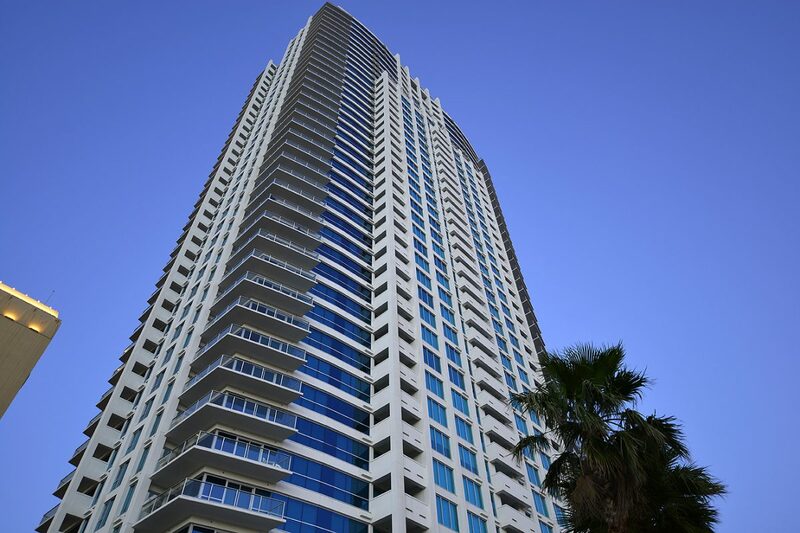 The Tower includes 409 residences with three-story Sky Suites located above the penthouse level. Sky Las Vegas is one of three projects that offer a Las Vegas Blvd address. Perched high above the Las Vegas strip, these alluring one-to four-bedroom condominium residences range in size from approximately 778 square-feet to 5,000 square-feet and feature custom details, natural finishes, terraces, and some of the most dynamic views of Las Vegas and the surrounding valley. The Penthouse at Sky Las Vegas offers three levels of extravagance with an in-residence elevator, floor to ceiling, two-story windows and a rooftop terrace which includes an outdoor cooking station and private spa. The rooftop terrace is the ultimate setting for social events. Sky residents enjoy exclusive amenities which include private and valet parking, pool with cabanas, fitness center complete with sauna, racquetball court, conference room, banquet hall, social and media room. Sky Las Vegas is located on the North end of the strip and is within walking distance to the Las Vegas Convention Center, Las Vegas Festival Grounds and several casinos, restaurants, and entertainment. Contact us today to schedule a tour of residences that are for sale at Sky Las Vegas.